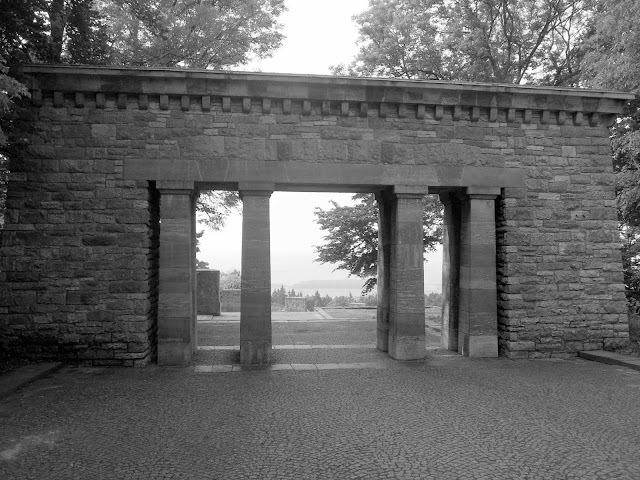 From 1954-1958, the GDR established a National Monument with the intent of memorializing the German Communist Resistance fighters. The entire monumental complex is in the form of Socialist Realism. 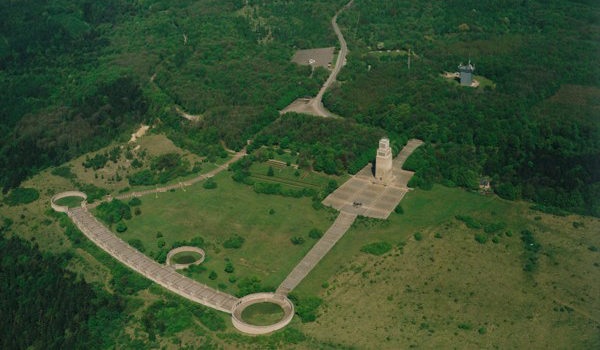 The intended path starts at the belfry tower of freedom. 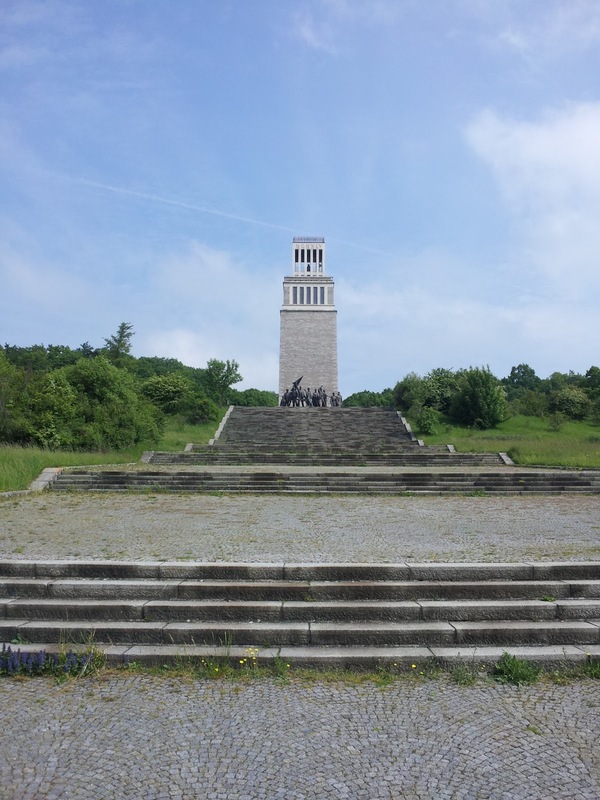 Inside the tower is a bronze plate below the earth and ashes from other concentration camps. The bell in the tower top is by Waldemar Grzimek . The crown of the tower is a work of blacksmithing and was designed by Fritz Kühn. Before the bell tower is the sculpture of Fritz Cremer. The bell tower represents the time of life. 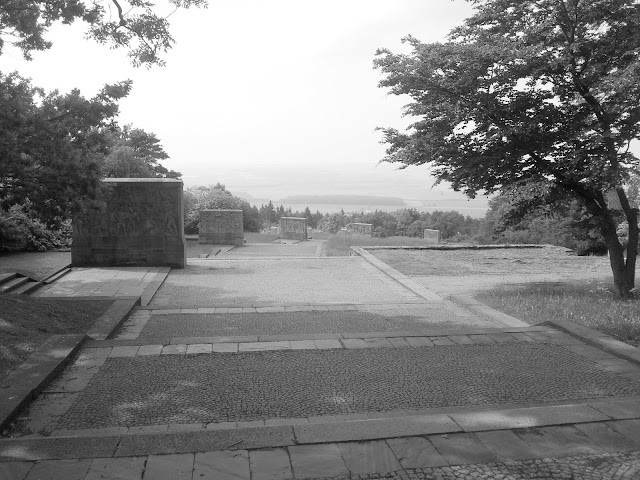 From the bell tower, this wide staircase descends to one of 3 mass graves. In these, the SS had buried about 3,000 dead shortly before the liberation of the concentration camp in 1945. The ring graves are connected by the Street of the Nations . 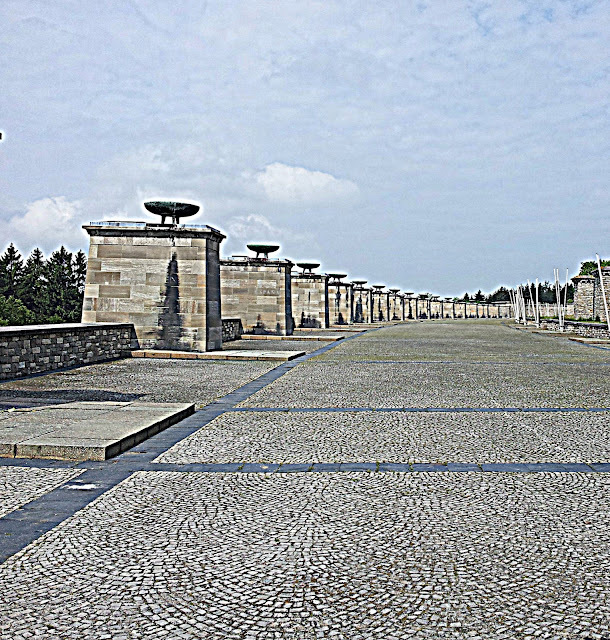 The Street of Nations is of brick pylons flanked by the names of 18 nations, who were imprisoned in Buchenwald concentration camp. At the end of the Street are the stelae designed and created by the sculptors of René Graetz , Waldemar Grzimek and Hans Kies. On the back of the stelae are texts by Johannes R. Becher . The style and sense of this monument made an impression in my psyche that is entirely unique from anything I have ever experienced. The enormous scale and emptiness creates a drama that is very moving. I walked symbolically from life to death, starting from the bell tower, and it was very strange. 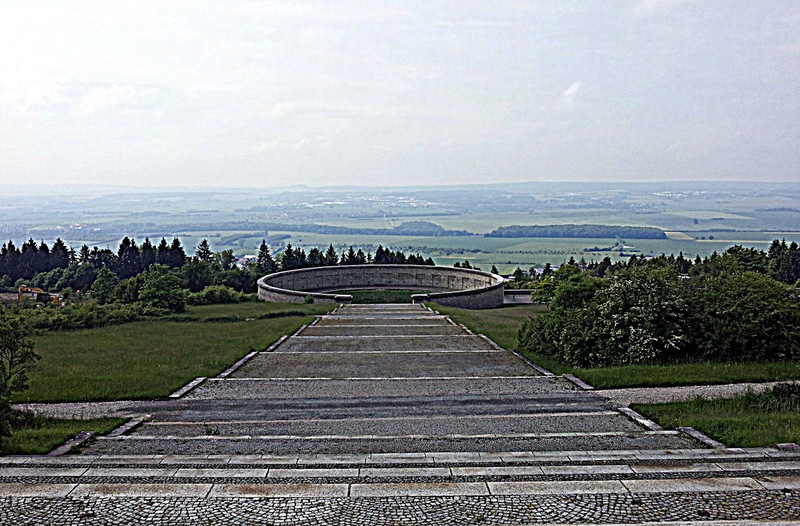 Looking across the expanse and openness of the landscape, I was the only visitor and I felt alone, like I was caught in a surreal vortex of history and memory. This is a land scarred by distorted ideals, and possessed by twisted and tormented souls, all pleading for redemption.